Last night on Smackdown, The Miz cut his first serious babyface promo on Shane McMahon after Shane turned on him at Fastlane; and it was awesome. He had the same intensity he did as a heel, but this time he was a babyface and it felt natural this time and not forced. During his first face run, his turn was not well received and didn’t feel organic at all. It didn’t have any build up to it and it was essentially heel Miz, but just calling out heels instead of faces. This time, however, the face turn was done much better and it was shocking, as most fans expecting Miz to turn on Shane, not the other way around. It also had good storytelling as Miz wanted to make his father proud of him and when he finally did, it was taken away from him by Shane. It is telling when you see some fans saying they are more invested in this match at WrestleMania than the Universal Championship match, and that is a testament to how much The Miz has grown as a performer. The Miz’s rise really began in 2016 after his Talking Smack promo with Daniel Bryan. From there he made the Intercontinental Championship relevant again when it was pushed aside for years prior. He had the amazing feud with Dolph Ziggler as well as his feuds with John Cena and Roman Reigns. He has pretty much done everything he can as a heel, so he is setting up to have a great run as a babyface. 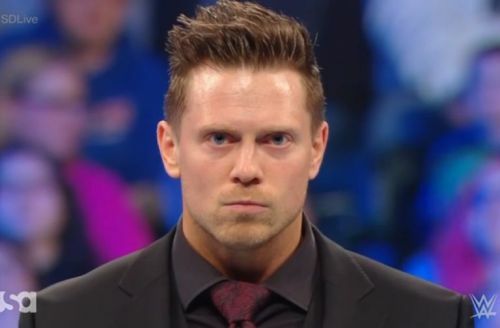 If Kofi Kingston wasn’t so red hot right now, a babyface Miz v. heel Daniel Bryan would be a great WWE title feud for WrestleMania 35. After his feud with Shane O'Mac, it will be interesting to see what is next for Miz, but one thing is for sure and that is that it will be awesome!